Completing any difficult chores or task will require vast amounts of hard work, energy, time and resources. You have to combine all of this to get the job done well, so it can prove to be difficult when faced with challenges you have never encountered before. In this instance, you will have to find people who know what they are doing, have the tools and experience in order to carry out everything to a high standard. This can be apparent when moving home because there is a lot to tackle and if you have never perfumed the process before it can be overwhelming. Between planning, packing, carrying furniture, obtaining transportation and storage, etc, you can find yourself in trouble. You should not fret for a second though because help is at hand. We at Removal To specialise in handling removals in South East London by providing a Man and Van service when you call 020 8746 4418. We can offer everything you will need for your removal, starting with information. The more you know about the process, the better equipped you are to handle everything. We will let you know what you need, how to do it, how long it takes and more, so you will be more confident in the procedure. We will also tell you about all the services we offer and give you the ability to choose the ones you desire. When you hire us, you will have the ability to pick what we do for you and when we do it. You may want a comprehensive service or for us to just handle one or two matters. Whatever it is our man and van team are up to it, and you can obtain free quote when you contact us on 020 8746 4418. One of our removals service is packing. This is a time consuming process for any move and one that has to go correctly. Our team of movers can sort all of your goods to ensure they will be packed accurately and then enfold them in protective materials. They will then select suitable boxes and place everything inside them. 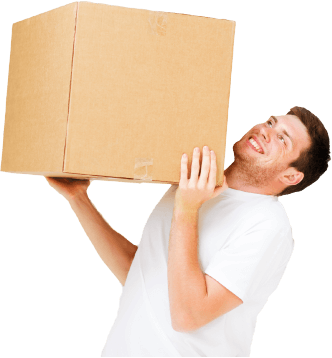 They have the strength and know-how necessary to lift and carry any object so you can take everything you own to your new address. Their removals vehicles will get all your goods to your new address in no time and upon arrival, our movers will unload your goods and take them inside. Every member of our staff is hardworking, professional and experienced, so you do not have to worry about them completing the job to anything other than the highest standard. South East London is one of the major areas of London and has a population of 1.3 million. Main parts of the area include Greenwich, Bromley and Lewisham. There are a wide range of homes available in the area, coming in different stylus, sizes and prices. Open spaces and parks are abundant here, with Crystal Park being the prime example. Here you can find the National Sports Centre and attend a variety of events. Crystal Palace FC is the main sports team for the area, with other sides competing in different sports. Landmarks and places of interest in South East London comprise of the Crofton Roman Villa, the remains of the Crystal Palace, Tower Bridge and Millennium Bridge, the Shard, the Tate Modern Art Gallery, Shakespeare’s Globe Theatre and Chislehurst Caves nightclub. If you want your moving chores in South East London performed successfully, then contact Removal To and enquire about our Man and Van services.